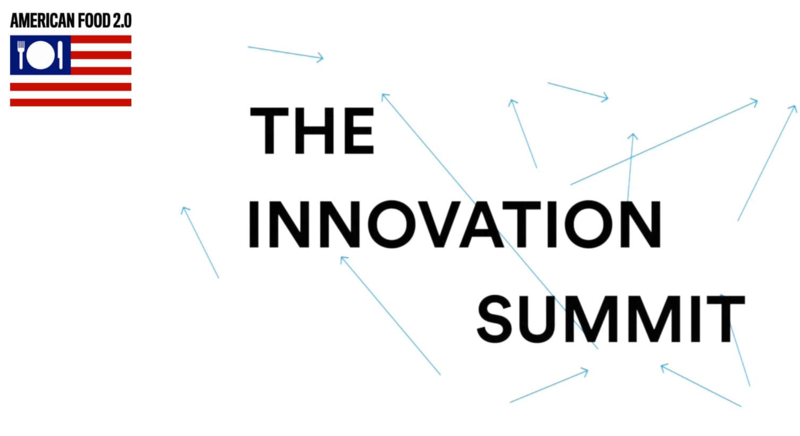 During the extent of the Expo, creative teams were invited to participate in a series 36-hour hackathons held in Milan. 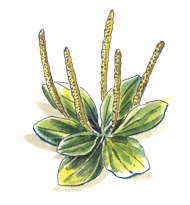 The hackathons focused on different issues – but all relating to food – and had technical experts as well as industry professionals from the food industry in place to help teams create new initiatives, networks and realizable projects. 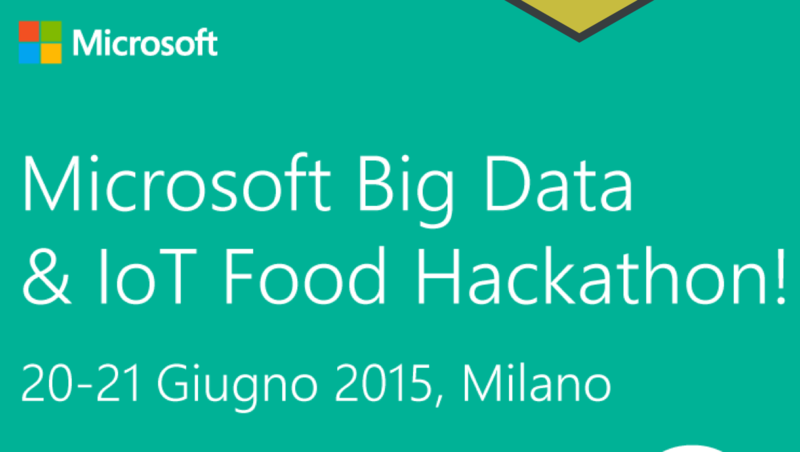 One of these was the Microsoft Big Data & IoT Food Hackathon with challenges for teams such as finding trends in data, the best ways to view data and combining hardware and big data. 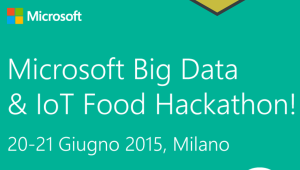 The event was held June 21-21, 2015 in Milan. 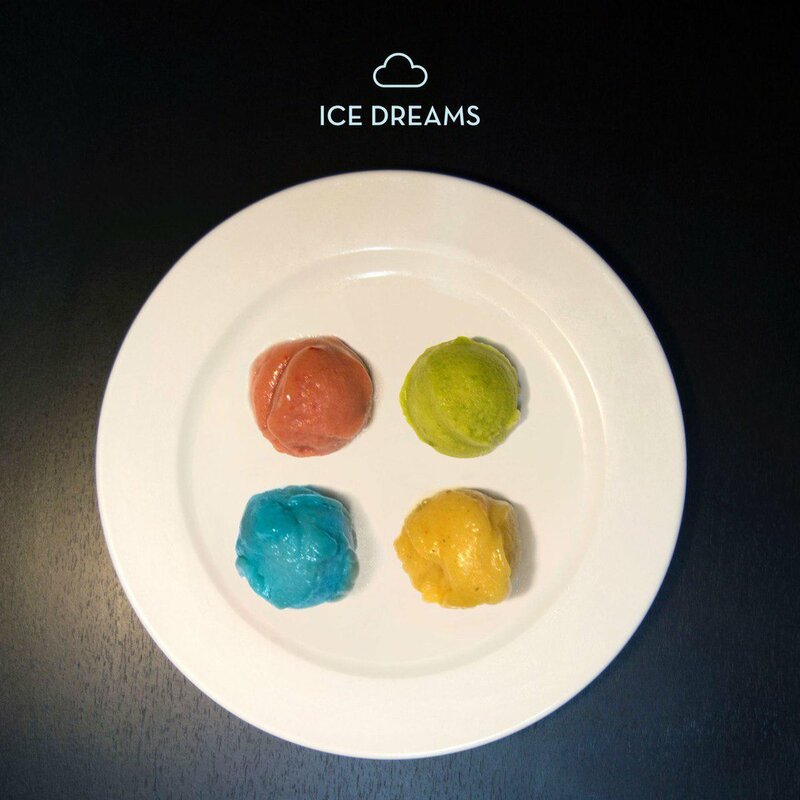 Ice Dreams, one of the selected Feeding the Accelerator teams selected to partipate in the US Pavilion at the World’s Fair Expo in Milan, presented a wonderful array of Microsoft Windows colors in gelato to celebrate the launch of Windows 10 July 29, 2015 at the U.S. Pavilion. The Jellyfish Barge is a modular floating greenhouse for intensive cultivation, able to purify sea water using solar energy. 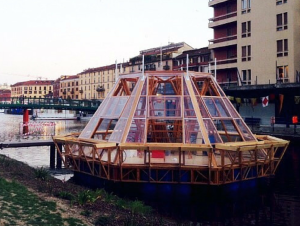 One module consists of a wooden base, floating on recycled plastic drums, supporting a greenhouse, which is surrounded by 7 solar desalination units able to produce up to 150 liters per day of clean fresh water from salt, brackish, or polluted water. Solar panels provide the low energy required to power fans and pumps. Pnat set off the inauguration of the prototype of the Jellyfish Barge on Tuesday September 15, 2015 at the U.S. Pavilion. Microvita develops an alternative, sustainable animal feed which does not compete with human feeding through an ecient industrial system to convert organic by-products into protein feed for livestock using houseflies. “Fly Show” was a promotional event with Microvita, Feeding the Accelerator, and Design Group Italiaon on September 25t, 2015 at the Design Group Italia studio in Milan. 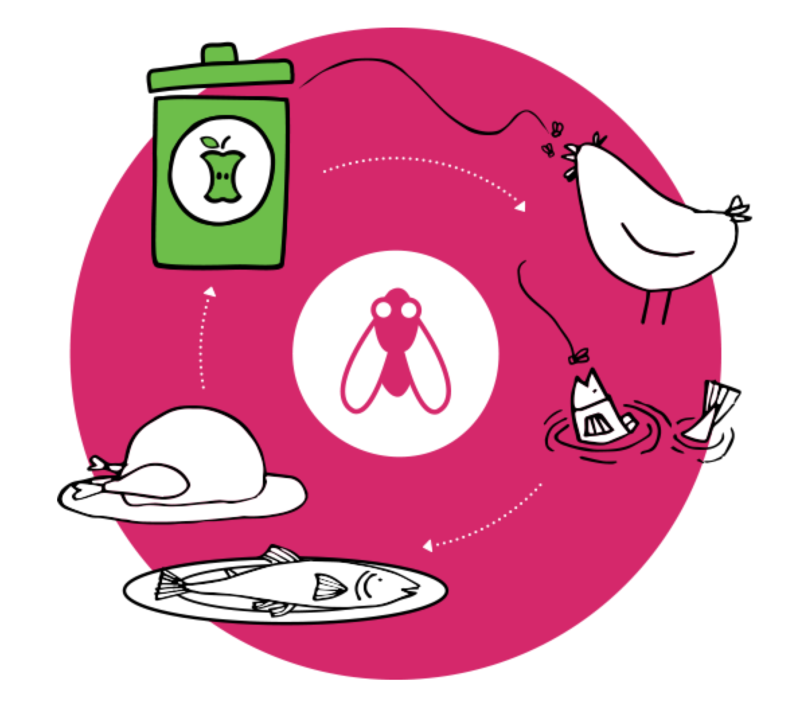 With “Fly Show ” Microvita stimulated reection on the possible role of insects in the food value chain. September 29 – 30, 2015, the U.S. Department of State, the USA Pavilion at Expo Milano 2015 and its innovation program Feeding the Accelerator, hosted a two-day event to showcase its activity during the Expo and launch new directions and initiatives to support and sustain innovation and entrepreneurship with panels on innovation and technology across science, culture, business and society. Videos of the event can be found here and here. On September 24, 2015, MENTOR MINDS – a film of interviews about mentorship, innovation, and culture was shown at the Theater of Copernico in Milan. 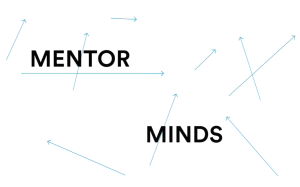 Mentor Minds is a film by Savinien Caracostea in collaboration with Jan Åman, featuring leading figures from a variety of industries including food, art, fashion, business, architecture and urbanism. It is a part of Feeding the Accelerator, the innovation program of the USA Pavilion at Milan EXPO 2015, hosted by Copernico. The interviews constitute a form of virtual mentorship to the program’s selected entrepreneurial teams, and to a global community. 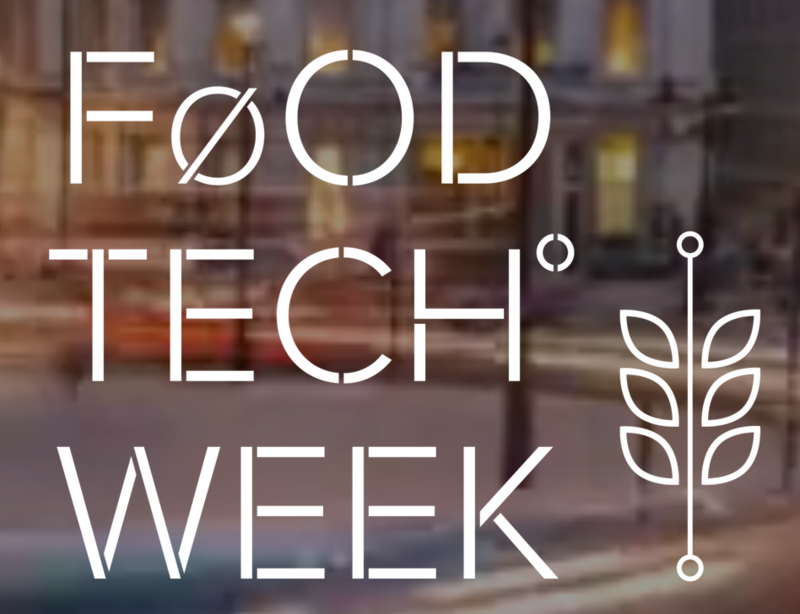 London Food Tech Week was a week-long celebration and showcase of new trends, ideas and companies transforming food technology and the future of food. 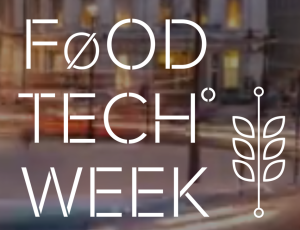 For the week of October 16-23, 2015, food tech related events took over some of the hottest venues in central London, featuring a Food and Agtech Sustainibility Hackathon at wework, a TEDxHackney Future of Food at the Ace Hotel, Food of Genius (secret location), panel discussions, workshops, talks and extraordinary experiences. 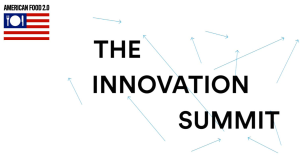 “Feeding the Accelerator”, the official accelerator of the USA Pavillion Presents at the EXPO 2015 in Milan hosted an event at London Food Tech Week on Monday, October 19, 2015. This event showcased the best of the accelerator program of the USA Pavillion of the EXPO 2015 in Milan.